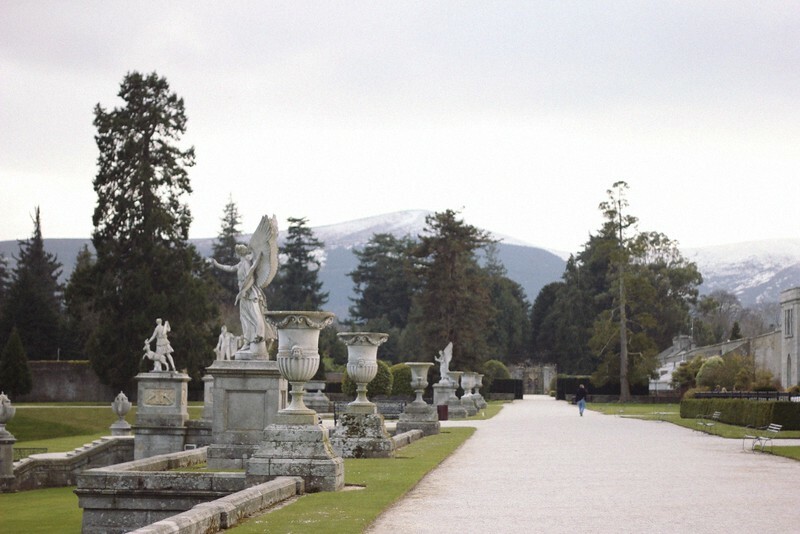 I visited Powerscourt Estate for the first time last year after a long and cold Irish winter that coincided with a long and dark season in my personal life. It was April and I was starting to wonder if it will be sunny ever again. It looked pretty bleak, it even snowed the week before. But somehow, the miracle of Spring happened again and as sun rays pierced the thick clouds, I decided to finally visit that place I had heard so much about. 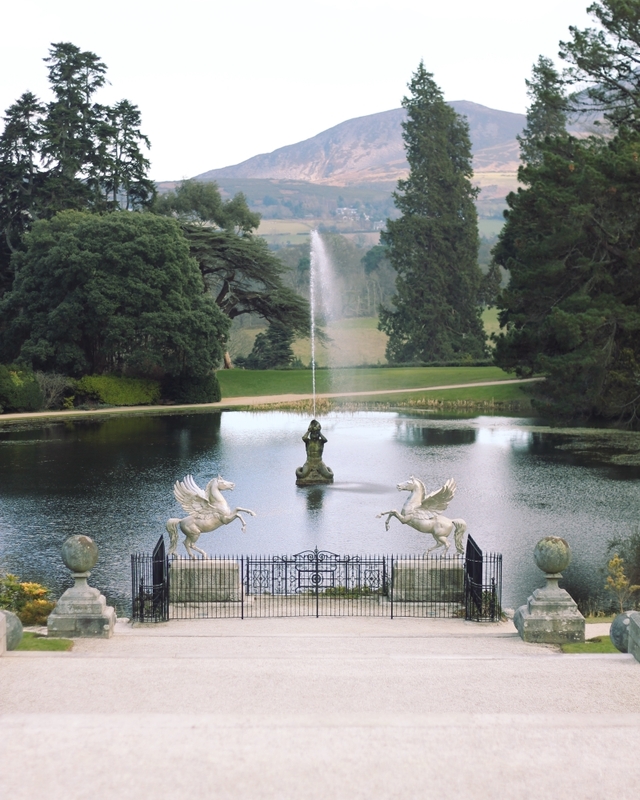 Lonely Planet listed Powerscourt as one of the greatest houses and this year National Geographic voted it the third best garden in the world. Pretty impressive, right? Those titles are definitely not unearned, the estate brought back some needed magic in my life. 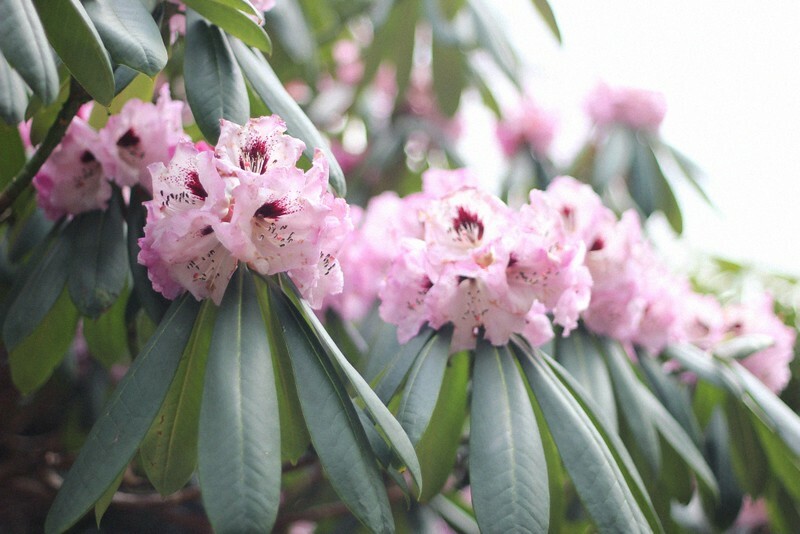 It made me realise that I have all those amazing places practically on my doorstep and I needed to start exploring, look for my Spring and stop waiting for it (which is a message I’m trying to convey through this blog, everyone’s backyard is worth exploring). 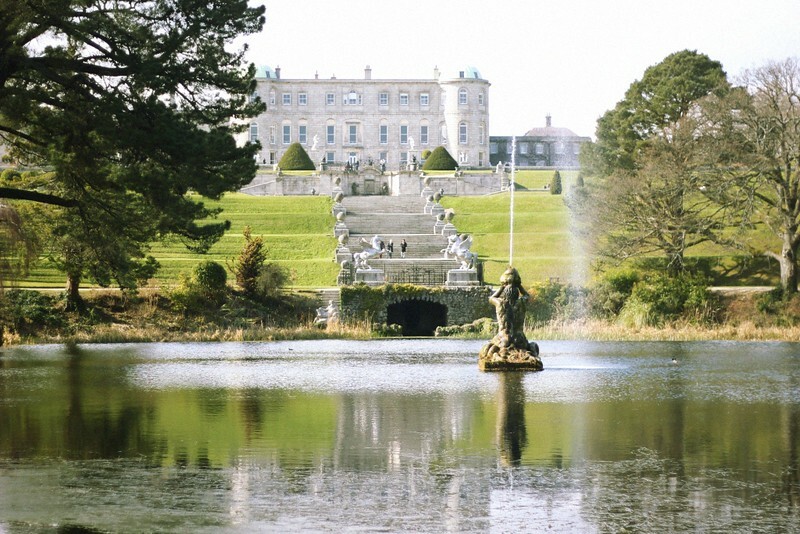 Powerscourt Estate goes back as far as the 13th century and has been a work in progress over the years. 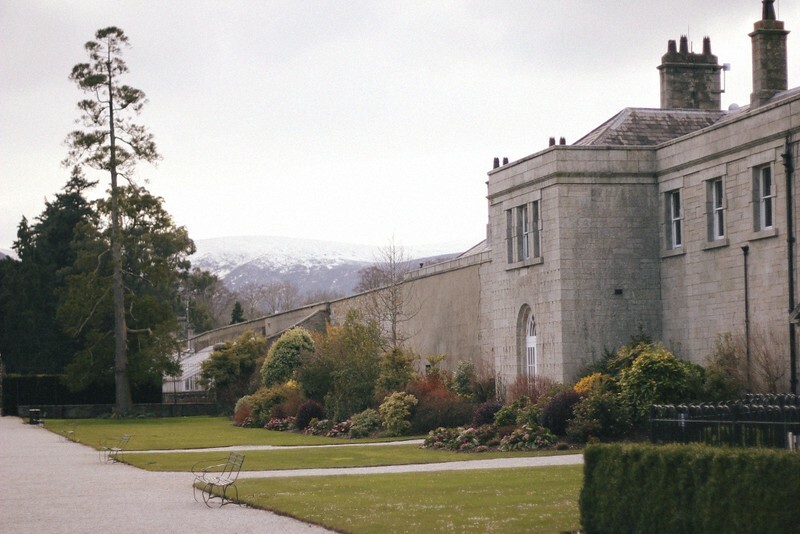 Today, when you visit the estate, you’re met with an impressive mansion holding an array of shops that boast beautiful Irish design and craft within its walls. If you’re in the market for gifts, souvenirs and local delicacies to bring home, this is a brilliant place to shop as you have so much choice on hand. Not an Irish product but I was super excited to see that the shop Avoca stocks some of Rifle Paper Co‘s divine stationary. On the first floor, you will find Tara’s Palace, one of the greatest doll’s house in the world, in the Childhood Museum. Click here to read about my visit there. 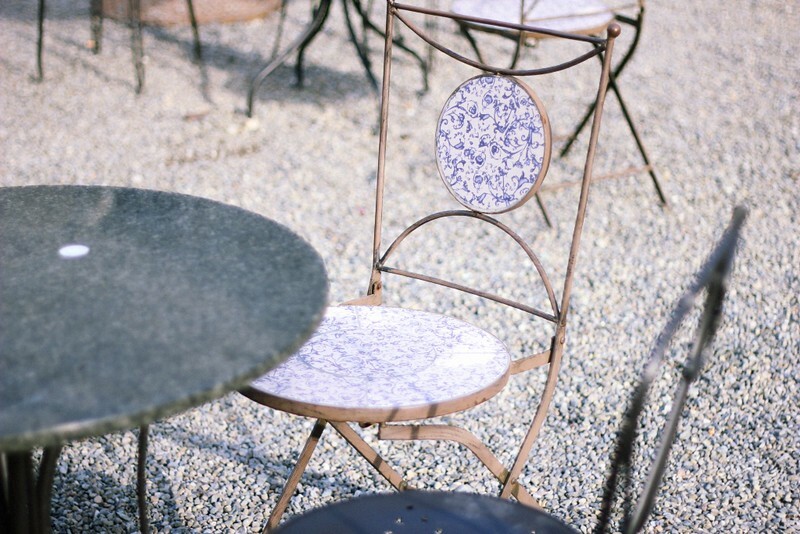 The terrace café is a lovely place to have a slice of cake (or two) as the views on the Wicklow Mountains are stunning. 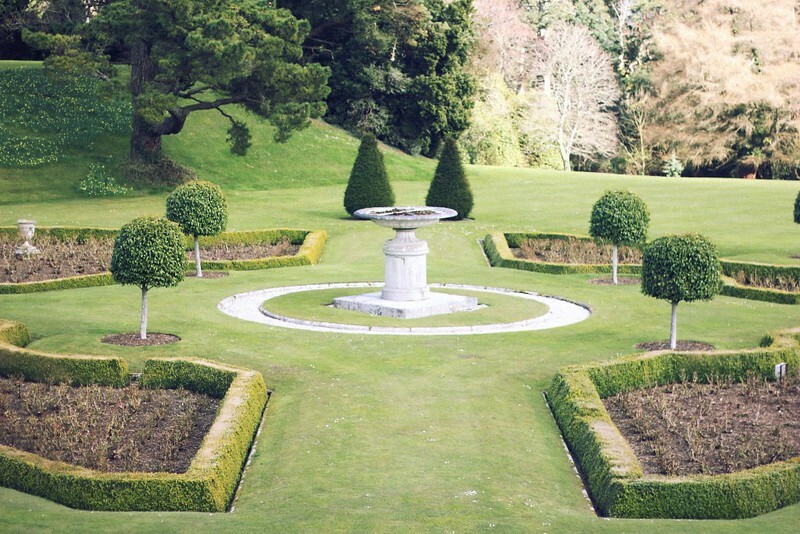 Outside you’ll be met with the beautiful Italian Gardens and a panoramic view over the estate. 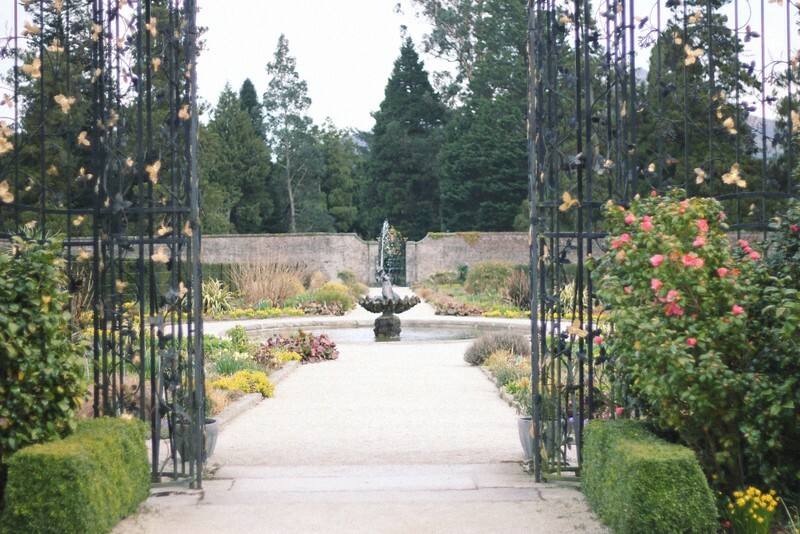 There is so much to explore: Japanese gardens, a pet cemetery, a walled garden, a greenhouse, the Pepperpot tower, a deerpark and the highest waterfall in Ireland. Did you know? 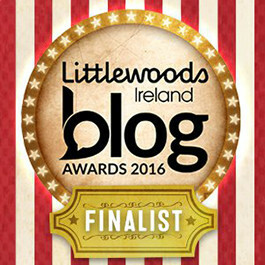 : Stanley Kubrick filmed Barry Lyndon in Powerscourt House. 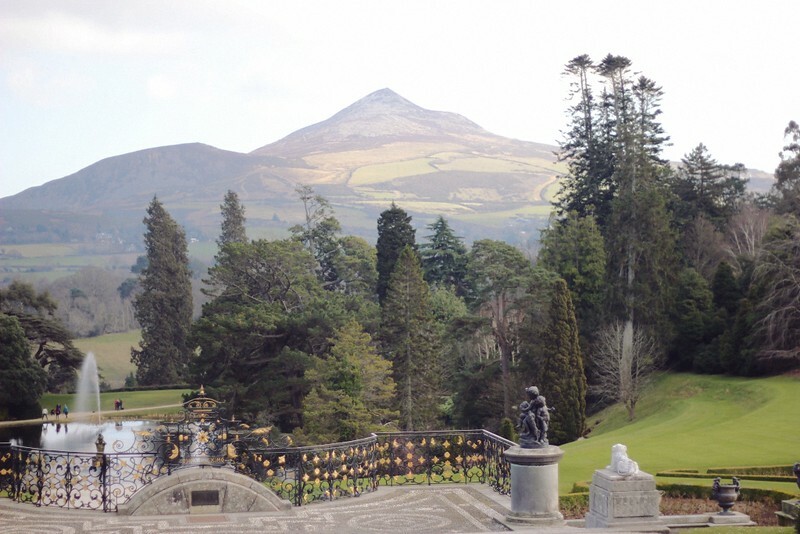 Powerscourt has actually been used as a filming location many times, check out IMDB for the full list. 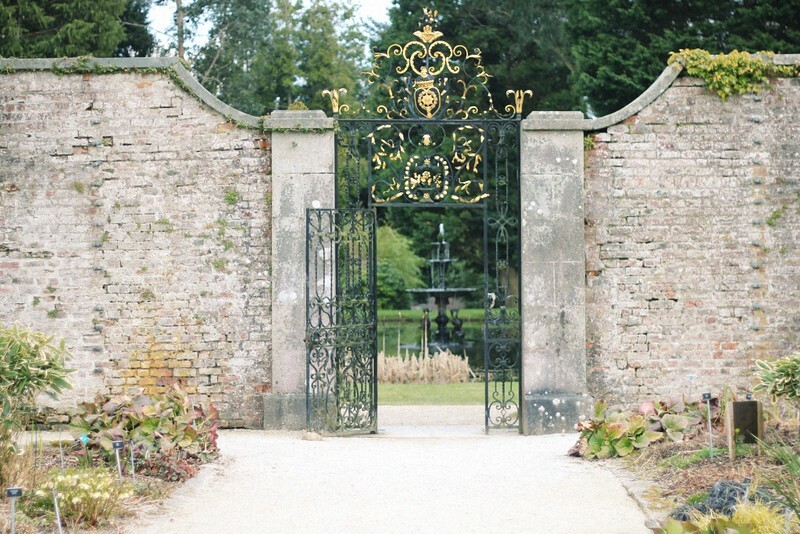 My favourite part was the walled garden, not surprisingly, and especially the gilded iron gates which reminded of pictures I saw of Versailles’s gates. 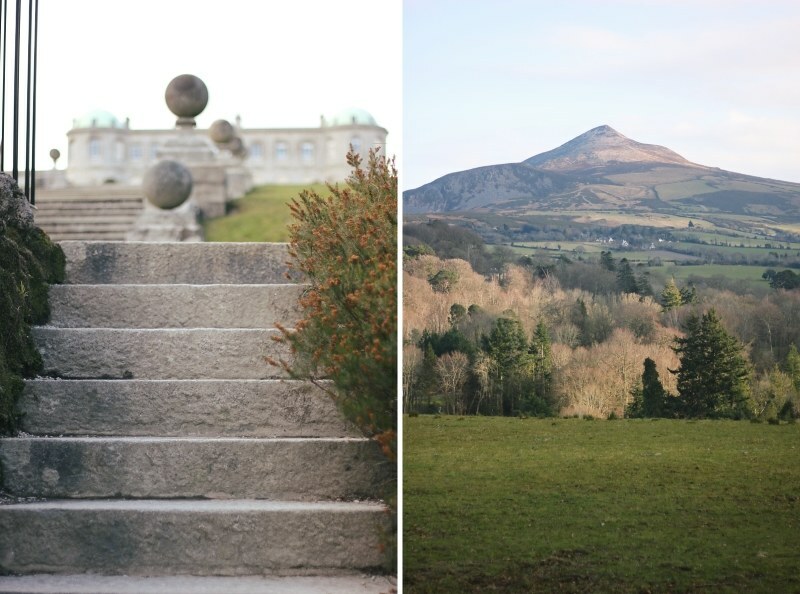 Although I’ve been to Powerscourt twice already, I’ve quite a bit left to explore. There’s the pet cemetery, it might sound weird but the stones’ epitaphs are said to be heart-warming (I kind of avoided it last time as my dog had recently passed away and I was worried to lose it); and also the waterfall and the deerpark. 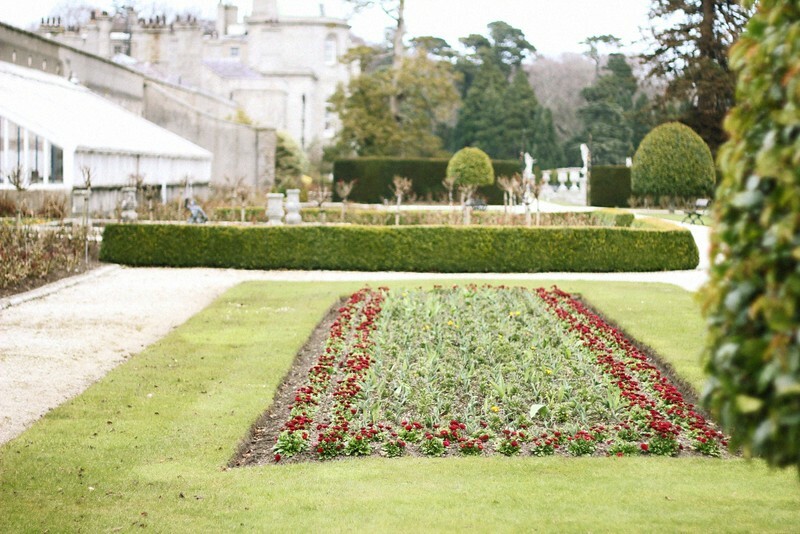 This time, I’ll do a favour to myself and not wait for Spring to visit Powerscourt again. Did you interact with fawns once in the deerpark area? 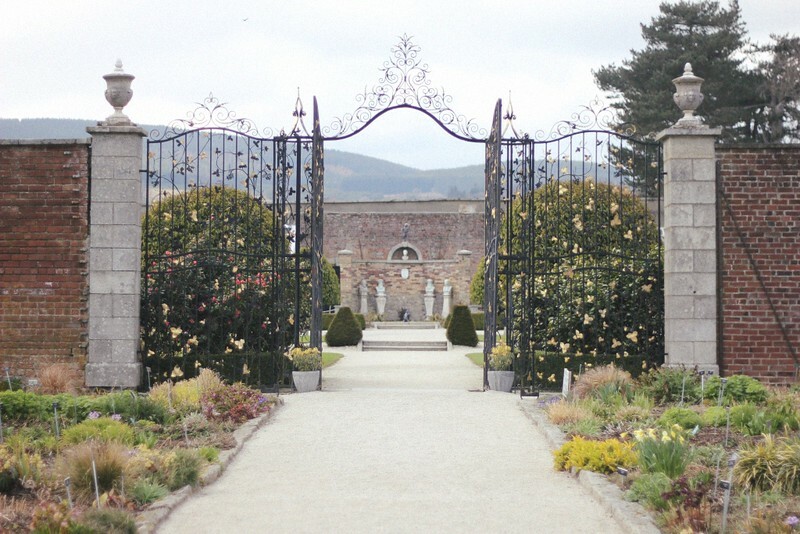 I think I’ve passed Powerscourt Gardens on my way to Sally Gap. 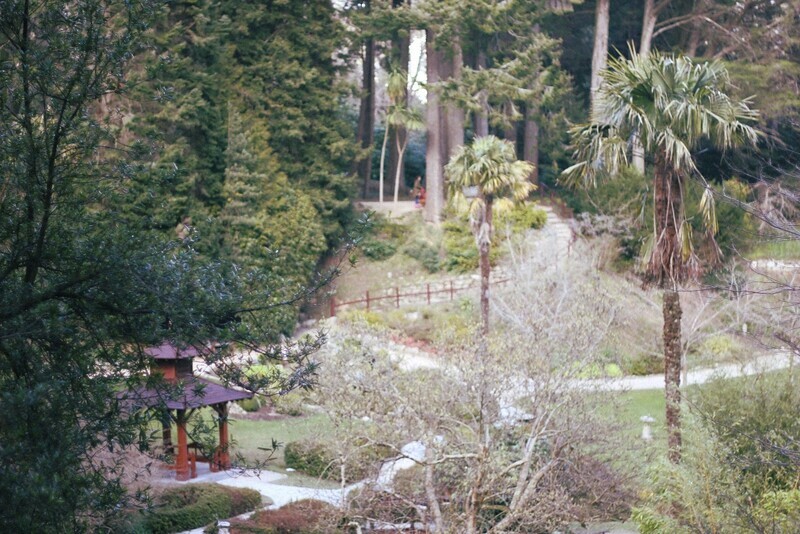 County Wicklow is really breath-taking! 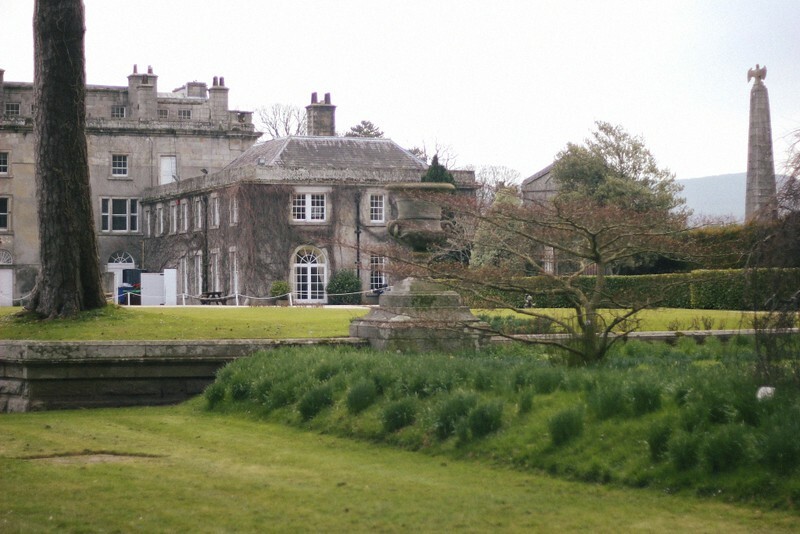 If I won the Euromillions, I’d probably try to buy a place like that. The estate, that is, not the county. Ahah. I didn’t get to go to the deerpark but next time, i’ll make it my mission! Did you post pictures on sally gap, i can’t remember, would love to see them, i think it’s the first time i heard of it! 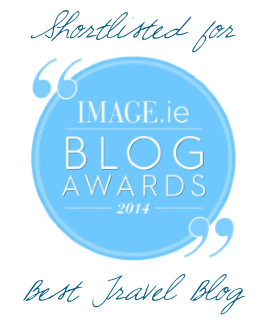 http://nancywilde.blogspot.pt/2014/04/glendalough.html – these are my only pics of Wicklow! wow it looks so, so beautiful. 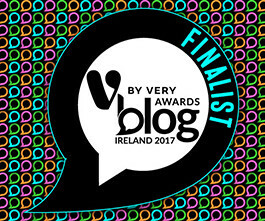 yet another reason to add ireland back onto my go-to list! 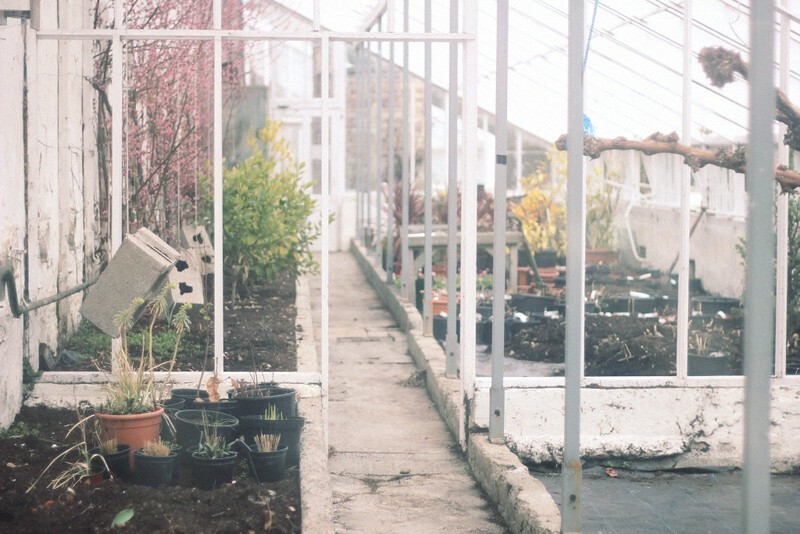 What a beautiful garden, i love how you managed to take these beautiful pictures without people. i’m not usually very patient for that but this time it wasn’t complicated at all as the park was relatively empty as the irish winter was just on its way out. 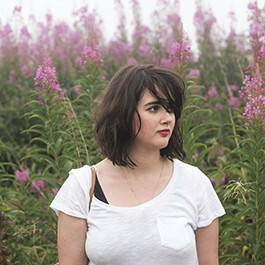 Actually, I’d love to learn how to ‘integrate’ people more in my pictures so they look more alive.